As a movie star, Ernest Borgnine, who died last year after a 60 year career, seems like an unlikely success. As a romantic hero, Borgnine, with his meaty, expressive gap-toothed face, seems even more unlikely. Yet, when thinking about Valentine’s Day movies, those familiar stories of love lost and found, I find myself conjuring up memories of Marty. 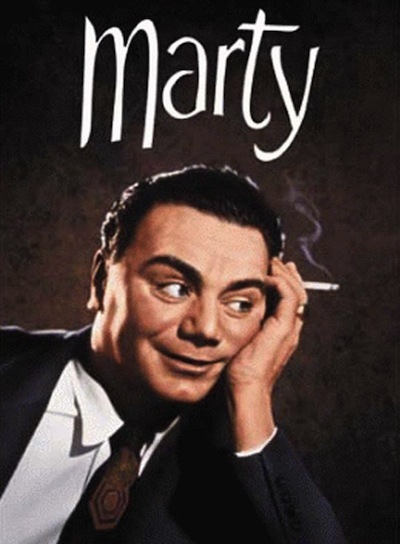 Released in 1955, and winner of the Oscar for Best Picture, Marty tells a classic underdog story. It is not a grand adventure tale but rather a story small in scope about a moon-faced, nice guy nobody, his mother and a plain, unnoticed woman. Is it the first movie of its type? I don’t know. I mean, Charlie Chaplin made a movie about a lovable tramp overcoming the odds and winning the heart of a blind flower girl. And that one came out back in 1931. It is true that the story appears again and again, even as it has been allowed to detach itself more and more from reality. A modern fairytale we all want to believe in. To say that Valentine’s Day is usually lower on the list of priorities for the average male is not a particularly bold statement. If we’re being honest, we can all acknowledge that the day itself is little more than a trumped up commercial holiday (not commercial-ized like Christmas, but wholly manufactured out of a desire to sell things). It is not exactly an atom splitting conclusion to realize that humans desire connection, struggle against loneliness and those narratives that enforce this notion are embraced. We see it in sports movies (It’s about the team! ), we see it in war movies (Die with honour for your country! ), and we see it with romantic movies, whether they be dramas or comedies. But romance films, relationship movies, they operate outside of real life. We want to believe them, truly we do; the meet-cute, the overcoming of goofy miscommunication, the joyful reuniting. One of the best movies of 2012 was Silver Linings Playbook and for all of the flights of fancy it takes (family dysfunction, mental illness, competitive dancing, an acting role for Chris Tucker), it still follows this tried and true formula. 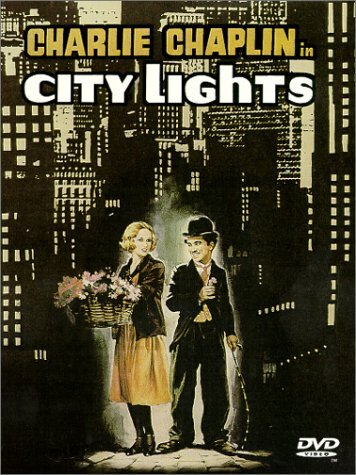 Just as we desire order and understanding in our lives, we like movies that reinforce our belief in the happy ending, the light at the end of the tunnel (of love). It is not always like this. Remember the Break Up? Maybe only as a bad punchline, or as a background element to whatever real life romantic entanglement its star, Jennifer Aniston, was dancing around at the time. It is not a perfect movie, and is given over to a few Vince Vaughn-led flights of fancy. People didn’t like it. It is an uncomfortable film, filled with some real unrepentant ugliness and an ending that offers no happy resolution. Perhaps more accurately though, it offers a truly fitting conclusion: a relationship that works until it doesn’t, a fight that is necessary until it isn’t. Isn’t this a more interesting starting point? Mix in some science fiction elements and you find yourself at Eternal Sunshine of the Spotless Mind. Its pitch as ingenious as it is understated: what if you could erase all the memories of a past relationship? Would this improve your life? Make you feel whole again? Charlie Kaufman, the film’s screenwriter and no stranger to looping narrative structures, manages an even trickier feat. Eternal Sunshine careens forward as a narrative through the memories of one man, until it revolves back to the beginning and asks: if you knew how things would turn out, if you feel like a romantic relationship is doomed over 50, 60, 80 percent of the time, would you go through it anyway? Like the Break Up, it deals with aftermath and pain, but finds achingly beautiful truth in its wounds. Yeah, we need the eggs. Just like we need the films. Yes, there are films for that, too, the ones that catalog two people uniting over their sometimes barely contained craziness. Try to explain Punch-Drunk Love to someone. It stars Adam Sandler, full stop. And yet, it stands as a breathtaking skewed take on those romantic tropes; the obstacles placed in the way of true love and two people, broken in visible and invisible ways, leaping together into an unknown future. It shouldn’t work, but it does. A beautiful moment. A continuous motif. Maybe we can forget the day, or all the high concept films. Maybe it really is that simple.